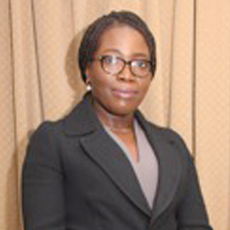 Obiageli Ugboma joined Chapel Hill Denham Group in July 2011 as the Chief Risk Officer – Executive Director and leader of a team spread across Risk Management, Compliance and Internal audit. She also sits on the Board of Chapel Hill Denham Securities Limited. Prior to her current position, she worked with J.P. Morgan, Investors, London from October 2007 to June 2011 as Executive Director and Head of EMEA FMP Risk Management and Vice-president, EMEA Compliance. She worked with HSBC Bank Plc, London in various positions: Sales and Relationship Manager, Corporate and Commercial; Manager, Credit & Risk and Branch Manager between 1999 and 2005. She also had a stint with Deloitte & Touche, London as Trainee Chartered Accountant within audit and financial services functions from August 1998 to August 1999. She holds a B.Sc. (Hons.) Biotechnology from the Imperial College of Science and Technology and a B.Sc in Financial Services from the UMIT (UK). She is a Fellow of the Chartered Institute of Bankers of Nigeria and an Associate of the Institute of Financial services, UK.